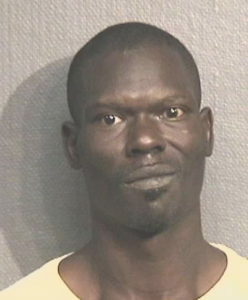 Houston police are seeking the public’s assistance in locating a suspect charged and wanted in a crash that occurred at 9000 West Montgomery about 1:30 p.m. on October 27, 2018. The crash left a HPD Traffic Enforcement officer with serious injuries. Both suspects, Terrance Carr (b/m, 34) and Andre Morris (b/m, 37), are charged with aggravated assault against a public servant in the 182nd State District Court. 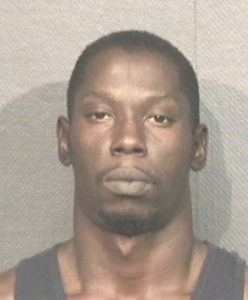 Carr remains at-large, while Morris was arrested on November 25, 2018. A previous photo of Carr and a current photo of Morris are attached to this news release. Both are accused in a crash in which Senior Police Officer T. Hammons was struck and seriously injured. Carr was driving a red truck and pushing his brother, Morris, who was in a disabled silver sedan in the 9000 block of West Montgomery when Morris lost control of the disabled sedan and attempted to avoid another vehicle by driving into oncoming traffic. There he struck Officer Hammons, who was off-duty, but in uniform and escorting a funeral procession. Officer Hammons was thrown from his motorcycle and suffered two broken legs and internal injuries. According to Morris, they were attempting to push the sedan approximately seven miles to the area of 39th and North Main. They had towing straps in their possession but did not use them. The vehicle could only be stopped by the use of the parking brake. 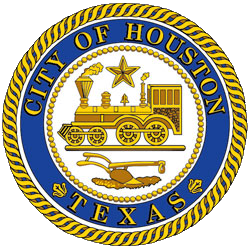 Video footage of the crash can be viewed on the HPD YouTube page at https://youtu.be/oDNhgB4seKE.